Multi Tools today are better than they have ever been. With so much choice, diversification and functionality, this market has expanded from the conventional swiss army tool. 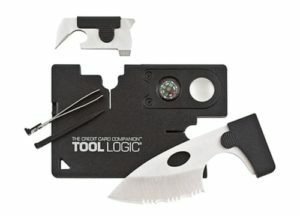 All the way to the one piece and compact wallet sized tools designed to accomplish an array of everyday uses. My Top 5 Best Pocket Multi Tool List below showcases the best of all of these. So go ahead and read on. Ensure you EDC kit is equipped properly that will make your day-to-day life easier. This thing is a monster! With 34 features built-in, nothing presents better value with an infinite number of uses as the venerable Victorinox Swiss Army Cybertool. As the name implies, most of these tools are designed for use on computers and other small electronic devices. Precision crafted in Switzerland, this knife is constructed with an acid-resistant plastic and aluminum handle. It's made of 100-percent stainless-steel components that will hold their edge and last for years. It is very lightweight and measures 3.5 inches when closed. This Swiss Army Knife features: large and small blade, bit wrench and case, hex sockets (4/5mm), torx bits (8/10/15), Phillips screwdriver, 3/6mm screwdrivers, mini-screwdriver, 4mm hex bit, 4mm flat head, pozidrive bits (0/1), ball point pen, DIP switch setter, pliers, wire cutter, wire crimper, wire stripper, scissors, can and bottle opener, corkscrew, reamer, sewing eye and hook. Tweezers and a toothpick pull out of the ends and it is even equipped with a handy key ring. As with all Swiss Army Knives, the CyberTool 34 Knife comes with a lifetime warranty. There are a lot of multi tools on the market, so finding one with some unique features can be a tough task. The Fire Talon doesn’t disappoint in this department. They have taken the usual multi tool design and updated it with some excellent additions. This is all packaged within a nylon belt sheath for easy carrying. The integrated flashlights are positioned so you can use them while you are making repairs. This is a huge improvement over tools whose lights can only be used independently of the blades or bit tools. When closed, this tool measures 4 inches long and weighs only 9.8oz! Definitely one of the best pocket multi tools on the market today. Not your typical EDC kit item but more of a neat tool to store in your wallet. I can’t get over how cool this Credit Card Companion is. As its name states, it resembles a credit card and fits in your wallet, yet when needed you'll find it's amazingly useful. The 2-inch stainless blade is razor-sharp and serrated to cut through even the toughest materials with ease. It also features a combination can or bottle opener, 8x power lens, compass, tweezers, toothpick, plus inch and centimeter rulers on the back. At just 1.3 ounces, it packs effortlessly for travel both on and off-road. There are a number of tools in the “credit card” space, but most have small parts that pop out like scissors and blades. However, this inexpensive Pocket Monkey from Zootility Tools seems to have simplified the design and built-in significant functionality. The design packs in 12 functions in a 1mm thick unit that can fit in a wallet. Here is a breakdown of functions: phone kickstand (when used with a plastic credit card), bottle opener, flat screwdriver, micro screwdriver, door latch slip, letter opener, orange peeler, banana nicker (to get peel started), hex wrenches, Phillips head screwdriver, small ruler and straight edge. Granted, some of these features are apparently reuses of the same device. The door latch slip is handy for getting into a handle-locked door if you need to. I take no responsibility here for your use in that department. The phone kickstand is a handy idea and the peelers are nice to have when you need it. The screwdrivers are handy, although I wouldn’t try to assemble Ikea furniture with it. It would seem that it needs some extra space to use, so in some cases it just may not reach a small screw well. That said, it would be great for starting over tightened hand-turn screws on electronics. Overall this is a nice unit to have handy, but seems more practical as an office tool than something you would take on a survival adventure. Kudos to the team for the innovative design. At 0.6 ounces and stainless steel, they created a very portable multi tool wallet device. Don't let its size fool you, the Gerber Shard Keychain Tool is the perfect companion when you want just the basics. With a shape of its own, the Shard has seven useful functions: small flat driver, medium flat driver, cross driver, pry bar, wire stripper, lanyard hole and bottle opener. It is light enough to carry on your EDC key chain, but tough and durable enough for everyday use. The Shard is made of stainless steel with a titanium coating and measures just 2.75 inches. It's also backed by a limited lifetime warranty. So that sums up my review and opinion of the Best Pocket Multi Tool for your everyday carry kit that will add value and make your life a hell of a lot easier in a bad situation. If you’ve got your own thoughts or want to share your experience with a key chain tool that others would benefit from. Then feel free to comment below.